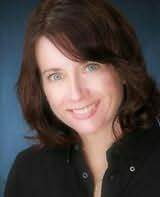 During her writing career, Susan has worked as a freelance writer, academic writer, and novelist. Her short work has appeared in several national publications including Womans World magazine. Currently she's busy working on The Georgia Peach Mysteries, soon to be released from Berkley Prime Crime. She has also continued the New York Times bestselling Novel Idea Mysteries, starting with the fourth book in the series, under the pen name Lucy Arlington.